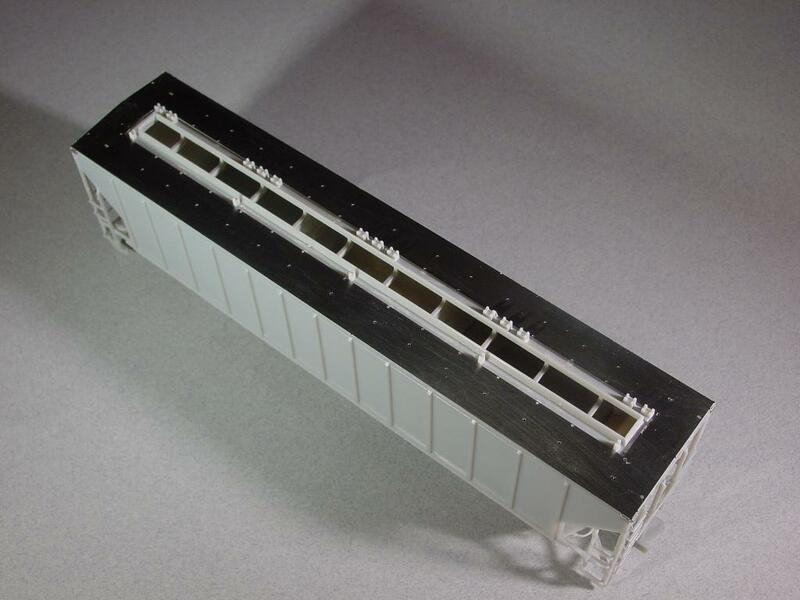 If you are adding one of our #087 or #088 walkway kits to your Proto2000 or Walthers 4427 covered hoppers, you know you are going to be drilling a bunch of #078 holes in the roof of your model. We supply paper drill templates with those kits to aid you in where to drill all those holes. If you are only doing one or two of these conversions, the paper templates will probably be fine and get you through. 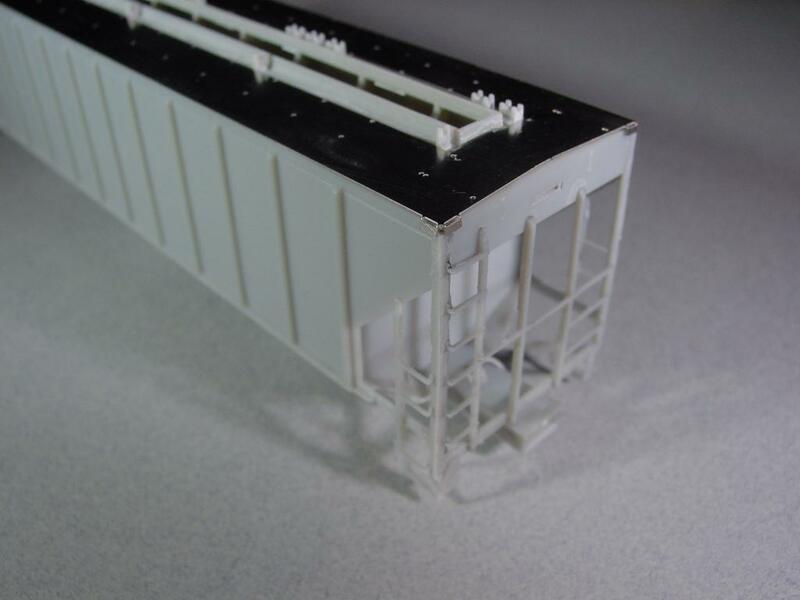 But if you are planning to do several conversions, it might be worth while to invest in one of these metal drill templates. 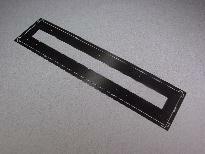 As you can see in the clickable photos below, the template is shipped flat with a protective fret around it (photo #1). After removing the template from the fret, there are two tabs in each corner that need to be bent down 90 degrees (photo #2). The template will need a slight bend made down the center to match the roof angle. And then the template can be placed on the top of the car to assist you on where to drill all the holes (photo #3). No hassles of taping a paper template to each car or worries of a shifting paper template. The template stays in place and the accuracy is much better. And it is reusable over and over and over and..... Just lift it off one car, place it on the next and start drilling again.